Major smartwatch makers – Apple, Samsung and others – rushed into the market before the technology was ready and didn’t focus on the enterprise first. Smartwatches failed as a product category because the main industry players made a huge mistake. They started with consumer smartwatches and treated the enterprise as an afterthought. It should have been the other way around. The early success stories are crashing and burning. 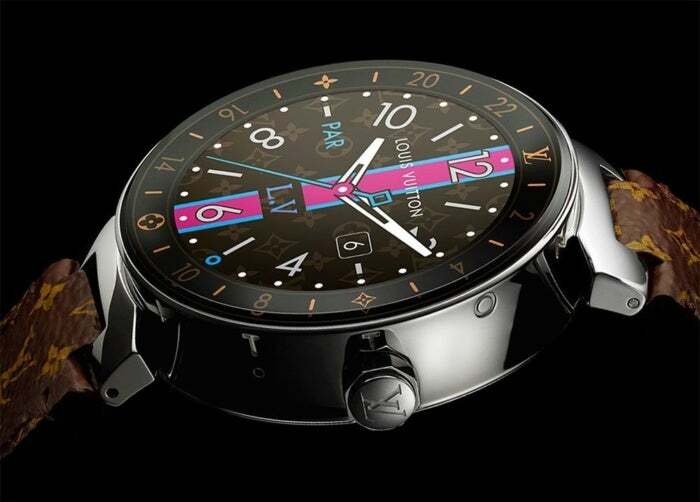 Motorola has exited the smartwatch market. Pebble shut down in December. Jawbone did the same in July. Intel, which had acquired the wearables firm Basis, shut down that company and exsted the smartwatch and fitness tracker space completely. Fitbit sold 2.3 million fewer devices last quarter compared with the same quarter a year ago, the company announced this month. By offering a standard, open platform for any smartwatch company to build upon, Google's Android Wear platform was the darling of the industry when it launched nearly three and a half years ago. Fast forward to today, and Apple's proprietary Apple Watch running watchOS dominates, with Samsung's proprietary Tizen a distant second. Android Wear brings up the rear. Companies are cagey about numbers. But it's very likely that most or all smartwatch makers are losing money. Leaders Apple and Samsung don't mind. Smartwatches bolster smartphone platforms and customer loyalty. Kantar Worldpanel ComTech reported that as of December, just 15.6% of U.S. consumers owned a smartwatch or fitness band, barely higher than the year before (compare this to the 77% of Americans who own a smartphone). Fewer than 10% of European consumers own smartwatches. But even this low number hides a more telling reality: Many consumers who did buy smartwatches don't wear them. After purchase, and some months of use, those watches are now gathering dust in a drawer somewhere. Because: What's the point? Smartwatches failed to meet expectations and penetrate the mainstream consumer market for a variety of reasons. The top reason is that they are either too bulky and expensive or they're too limited in functionality to justify purchase and use by all but the most dedicated gadget enthusiast. In other words, the state of the technology doesn't allow for the slim, feature-rich and inexpensive devices that would enable widespread adoption. Some of the most coveted smartwatches today appear to be those that most closely resemble dumb watches -- they're purchased for the same attributes watches have offered buyers for decades, and not for the "smarts." Or, they're so expensive that few are willing to buy them. Montblanc's new $980 titanium Summit smartwatch exemplifies the category of watches that are essentially traditional watches, but with subtle "smarts" added. The Summit line, including the pricey titanium option, runs Android Wear 2.0. The watch does little more than show smartphone notifications, and allow minimal responses. The best feature is that it doesn't look like a smartwatch. TAG Heuer's Connected Modular 45 smartwatch is coveted, but rarely purchased, thanks to its price range of $1,700 to $6,750. And Louis Vuitton's Tambour Horizon is too bulky, function-limited and overpriced ($2,490), all at the same time. Other watches differentiate by focusing on extremely narrow niches. For example, the Fantom smartwatch is for soccer fans, and does little beyond keeping you updated on your favorite team. Several smartwatches have emerged for kids, including VTech's Kidizoom DX2, dokiWatch, Safer Kids and others. Some companies innovate by offering features for smartwatches that have existed on conventional watches for decades. A Swiss company called Sequent now offers a $219 self-charging smartwatch. It uses kinetic movement to charge the battery. The "smart" features are simply more smartphone notifications. Still others innovate by "catching up" to smartphones. The latest Apple Watch expected next month is rumored to come in an LTE version, meaning it should be able to make calls and get data directly without iPhone tethering. Apple's LTE watch would follow several other major devices that offer that feature, including Huawei's Watch 2. A watch called the Arrow Smartwatch offers a smartphone-like camera, but with an innovative benefit. It rotates around the bezel, so you can shoot a selfie, then spin it to the front to take a shot forward. What the consumer market expects and needs is not a dozen different watches where each offers one feature available on either analog watches or smartphones. Buyers want a single watch that sports all dozen features. Smartwatch news will start blasting out of Germany's IFA conference later this week and the industry will take another small step toward mainstream acceptability. Samsung will probably announce new watches Wednesday, including a new Gear Fit 2 Pro and another watch in its Gear S line. Sony and Huawei could announced new watches Thursday. Garmin's Vivoactive 3 and a range of fashion-branded Fossil smartwatches should also be announced this week. And Apple's industry leading Apple Watch likely gets a refresh next month. While these new products are expected to introduce welcome and possibly surprising innovations (especially the Samsung watches), they still won't offer the killer combination of size, features and price. They can't. The technology isn't ready yet. The tech industry plunged into the smartphone market in recent years based on a false assumption: that smartwatches should start out as consumer rather than enterprise products. Instead, smartwatches should have developed like smart glasses, with products for enterprises first and consumers later. The false narrative still echoing in the tech press echo chamber about Google Glass is that Google launched smart glasses into the consumer marketplace, and the product failed. Later, the story goes, the company changed course and reintroduced Glass as an enterprise product. What actually happened is that Google's R&D lab launched a novel beta program called the Explorer Program that was designed to crowdsource the decision on how smart glasses should best be used. The program informed Google researchers that the state of smart glasses technology was not ready for consumers, but was ready for the enterprise, where bulky electronics are acceptable if the efficiency payoff is real. So Google transitioned Glass from the research division to a product group, and set to work on the Glass Enterprise Edition. That's exactly what should have happened with smartwatches. Had a major company like Apple, Samsung or Google conducted a smartwatch "Explorer Program," they would have discovered in advance that the enterprise is where all their efforts should be focused, with attention on the consumer market coming much later. Instead of developing smartwatches that show Instagram notifications and heart rate, the industry should have been developing biometric security and key access, GPS features for delivery applications, watch-to-watch transmission of business card information and other corporate uses. Unlike the consumer marketplace, most enterprise applications -- including manufacturing, logistics and others -- could tolerate bulkiness, narrow functionality (as long as it served business purposes) and high price. As a result, some enterprise-facing initiatives are forced to add business apps (like TaskWatch) on top of devices built for consumers. The industry got it backwards and went all-in with the consumer space, treating the enterprise as an afterthought. And that's why neither consumers nor enterprises now have watches that are ready for prime time. The watch makers are losing money and some companies that make smartwatches exclusively are going out of business. Consumers are apathetic about devices that fail to deliver on form-factor, features and price. And the enterprise smartwatch market is basically nowhere. It didn't have to be this way. The smartwatch industry should have done what Google did with Glass, and figured out that enterprise-first is the way to go with wearables.